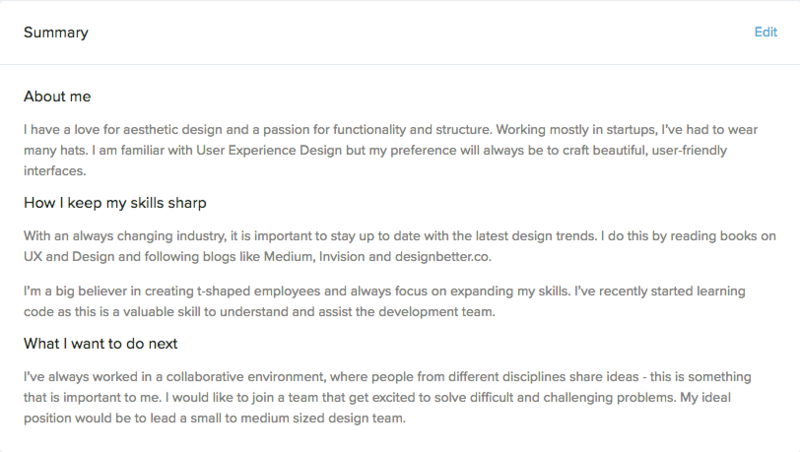 Have a look at Leanne’s profile to get an idea of what a good UI profile looks like on OfferZen. Leanne is a fictional character. Make sure you upload a clear profile picture and all the content provided is accurate and up to date. Link as many online profiles as you can. 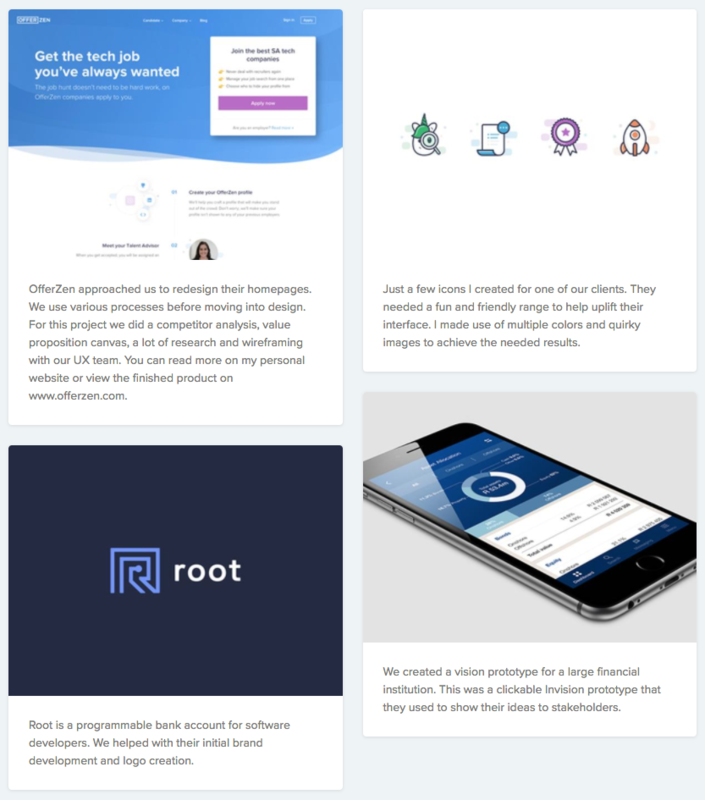 As a UI designer make sure to link to an online portfolio - this can be Dribbble, Behance or your personal website. 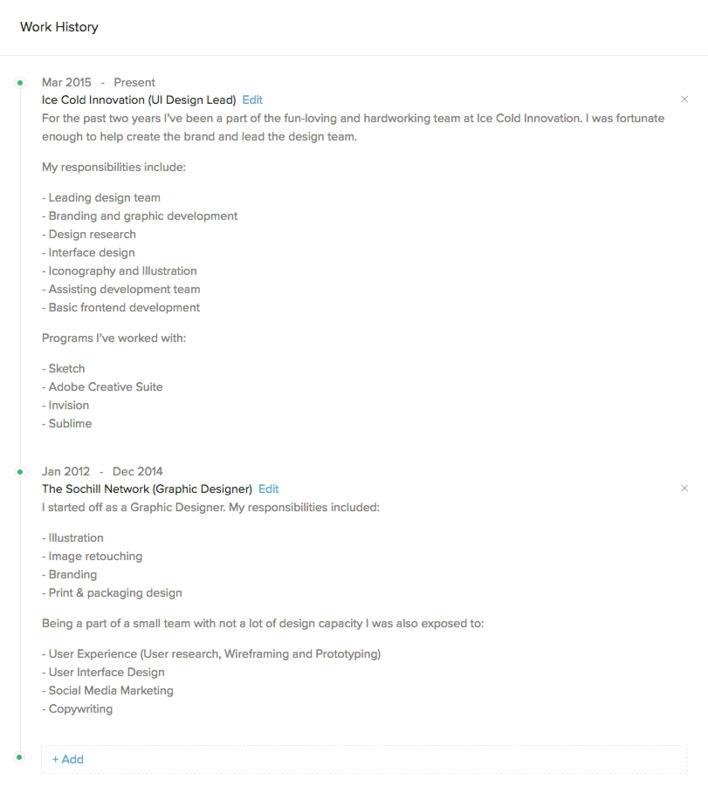 These 3 sections help companies learn more about you, how you improve your skills as a designer and what you want to do next. Add the roles you're interested in pursuing in your next job. Add a few skills that will make your profile stand out. Think of what you are good at and the programs you use. Write a detailed description of your work, and mention the programs and tools you have used. Write as if you’re explaining to someone in an interview. This is a really important section for UI Designers. UI Design is a visual role, so make sure to showcase your best work by adding a few images. Show variety and remember to write a short description.